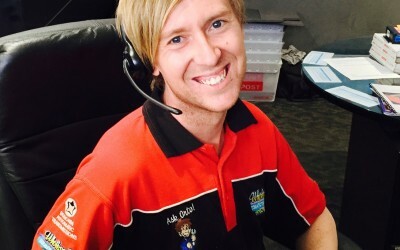 Stuart "StuDog" is one of the Directors of Wholesale Automatics. 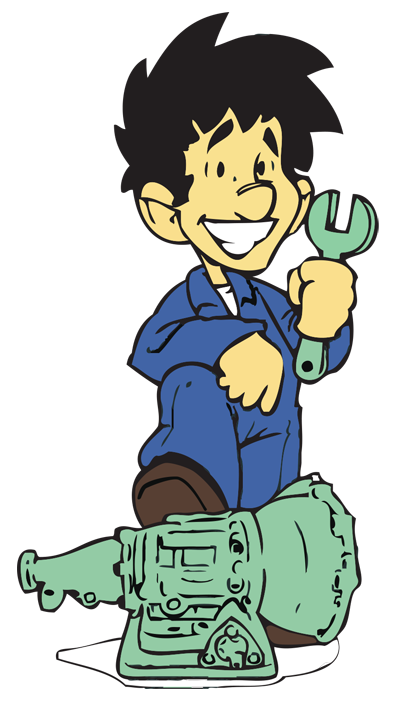 He has worked in the automatic transmission industry for over 30 years. 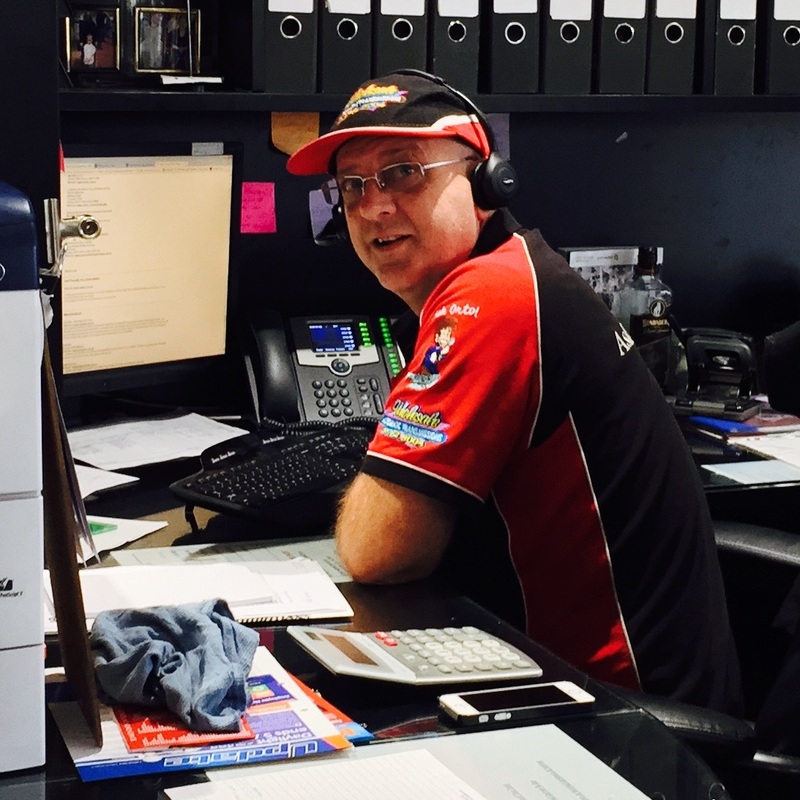 With a flare for slipping into the test drivers seat, he handles the diagnostics for many of our customers that are experiencing problems. He is also instrumental in the mechanical side of the various conversions projects that we complete. Our most recent R&D project is the introduction of a Nissan 5 speed automatic conversion to suit all GQ and GU engine configurations. For many years we have successfully offered the Nissan 4 speed RE4RO3A transmission as an option and developed the Compushift transmission control unit to operate it in all possible engine configurations. This unit is a factory option and has been used by Nissan since the GQ in both Petrol and diesel options with some changes over the years. We have recently purchased a Y61 ZD30 Cab Chassis and converted it to an automatic using the RE5RO5A transmission as found behind the Patrol TB48E 4.8L petrol GU. The transmission is exactly the same length as the manual gearbox and uses the same transfer case, this means everything bolts back on the same way and in the same place and no fabrication is required, this includes the same drive-shafts and cross-member etc. 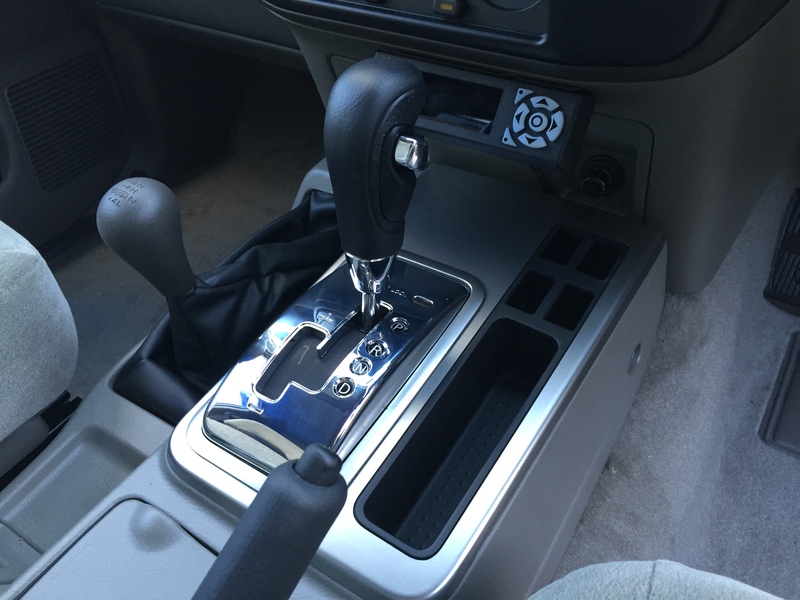 We also purchased a NEW OEM console and tip-tronic gearshift that also bolts straight in with no modification required and offers a modern gear control option with a brand new vehicle finish. The key to this conversion is our custom billet torque converter to suit and the Compushift transmission control unit that allows us complete control of all the gear shift characteristics as well as lock-up control. 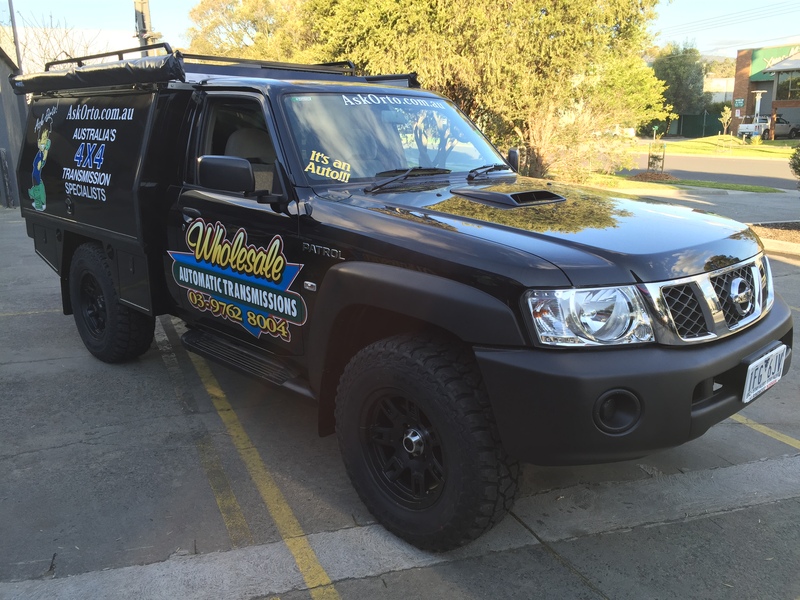 This allows us to custom tune the transmission to suit any engine/vehicle application as well as set it up for either off road, touring or performance use. 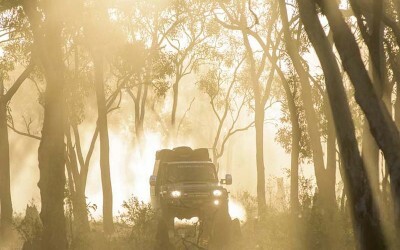 The above shows the 4 speed offers a lower overdrive ratio while the 5 speed offers far better reduction ratios as well as virtually the same overdrive ratio as the manual, this would suggest the 5 speed auto is a far better option in off road and heavy load related applications. The 5 speed auto will offer similar advantages the manual offers in regards to reduction ratios as well as the ability to manually select gears in tip-tronic mode and the advantage offered from the Torque Convertor as a shock absorber and torque multiplier. 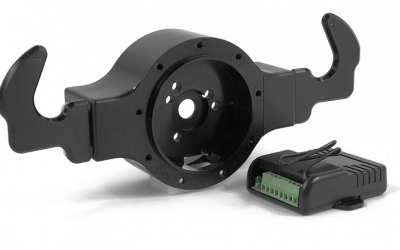 The Compushift also allows for complete control of the lock-up clutch application in the torque convertor offering total engine braking when required. 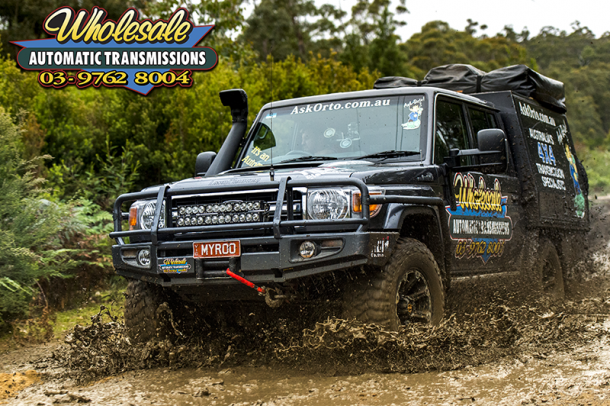 This conversion is an exciting prospect and will be on the road in the coming months for some testing and is expected to feature in a number of DVD trips with 4WD Action in the middle of 2016. The trusty Triton will still get plenty of use, the last 6 years have been pretty hard on it and my dog has pretty much made the back seat her own and she’ll make sure she doesn’t miss out that’s for sure. At this point the GU is featuring a custom canopy from Metal Fab Industries, Roo systems exhaust, roof console by Dept of the interior, VDO Digital pyro, boost and volt meters, Dobinson 2 inch suspension, Uneek 4x4 front bar, sliders and custom rear bar with winch, Dominator front and rear winch. Still a bit more to come but starting to look the goods anyway. I’ve tried to set this up more as a tourer than a comp truck but still keep it capable if required, because sometimes you just don’t want to turn around and go back the way you came. I’m still working on the bar and wine rack but it’s not too far away I reckon. 5 Speed Auto Sound Good? Contact-Us to find out more.